1 ton overhead crane comes in numerous types and sizes for many different purposes. It is usually configured in single girder design to handle 1 ton weight. 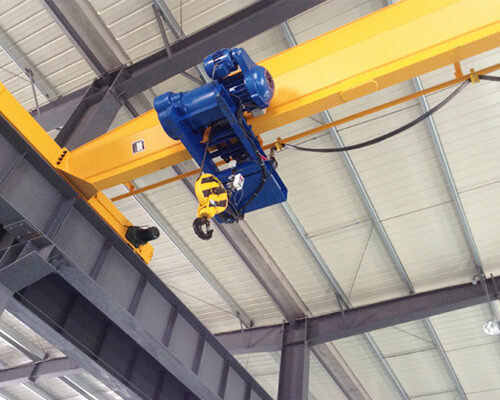 This lightweight overhead crane is a simple lifting equipment that basically consists of one bridge girder, two end trucks, hoist, crane travelling mechanism and electrical system. 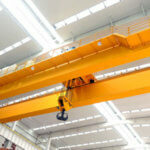 We also offer tailor-made overhead cranes to suit your special lifting requirements. 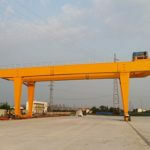 This type of crane is designed for general lifting purpose in workshops, warehouses, storage yards and so on. It is a popular choice for small and light duty applications. 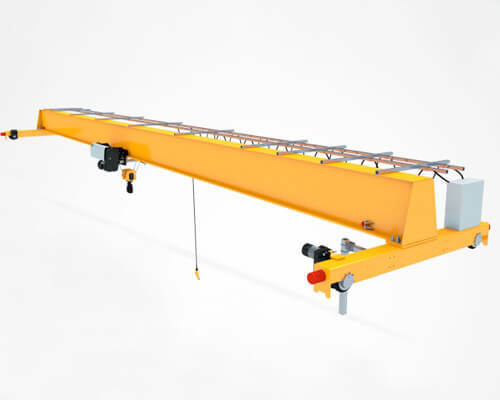 The LD single girder crane is designed and manufactured meeting national standard JB/T 1306-2008, and it lifts and lowers the load using CD1 or MD1 electric hoist. The work duty can be A3 or A4 depending on the load and the frequency of use. 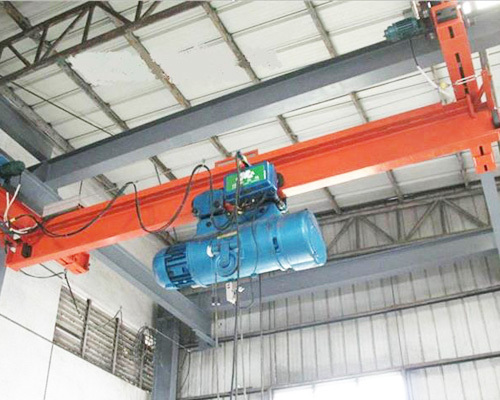 As compared to top running overhead crane, the LX type underhung crane can save construction cost as it eliminates the need of support columns and corbels. If the height of your building is inadequate or there are no support columns inside the facility, an under running crane can be a better choice. This crane features good rigidity, compact structure, smooth operation, low noise, environmental protection and excellent safety. LDY foundry crane is engineered to lift and transport hot molten metal in metallurgy and foundries. The ambient temperature is generally not more than 60 ° C. In order to protect the crane in high heat environment, the electrical equipment like motors use thermal insulation design; high temperature resistant cables are used. The control mode can be wireless remote control to protect the crane operator. Explosion proof crane is designed and manufactured according to standard JB/T10219-2000. It handles the load using explosion-proof electric hoist. To ensure a safe lifting operation in explosive or flammable environments, the crane also uses stainless steel wheels or nylon wheels which can avoid friction during operation. 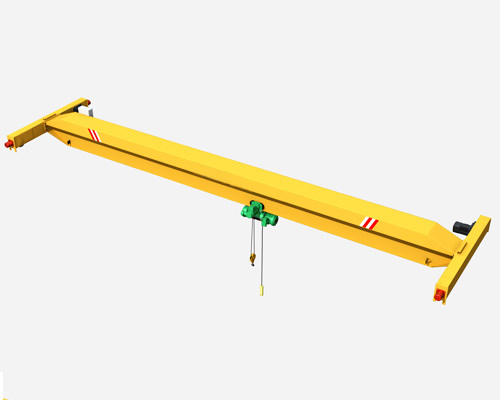 This crane is designed in line with FEM European standard. It features compact size, light weight, small wheel pressure, excellent side approach, low clearance and great lifting height. The overhead crane is designed with high configuration, such as using ABM three-in-one motor for lifting mechanism, ABB or SEW motor for travelling mechanism, Schneider electrical equipment and frequency converter. 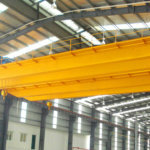 In a word, different types of overhead cranes are designed with different configurations for various working occasions, but the structure and components are generally the same. They are equally rigid to handle the load. What type of crane do you need? top running or underhung system? Your required crane specifications, such as rated load capacity, span, lifting height and lifting speed. How is the environmental condition? Do you need a runway and track? If it is, what is the length? If you need to construct a workshop or warehouse for your business, we offer different types of steel structure for building. The steel structure is a cost-effective option to erect industrial buildings. It can be designed and constructed to meet your production requirements as well as fit your crane configurations. 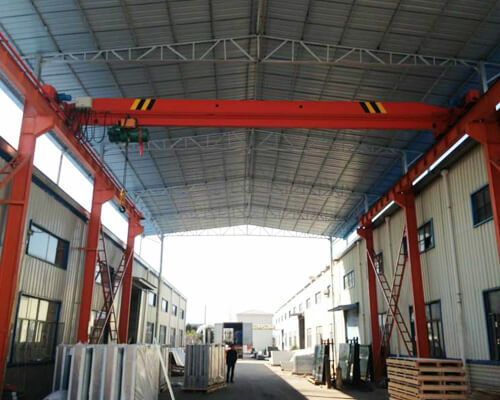 The steel structure factory constructed by our company is sturdy enough to support the overhead crane system and the load. It can last for decades. With easy and quick construction, this structure can help you save a lot of money and time. Each of the steel structure building is custom designed and constructed to suit your own project’s specifications. To get a free quote, please contact us at any time. Custom design: available. For instance, the lifting height and span can be customized to suit your special requirements. Backed by experienced engineers, we are able to custom design and build the equipment to suit your special lifting requirements. In addition, we offer a range of options and accessories to make sure you end up purchasing the right crane system. 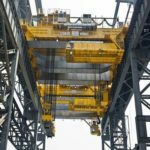 Hoist – there are different types of electric hoists for you to choose from, including wire rope hoist, chain hoist, explosion-proof hoist and metallurgical hoist. Crane controls – this small overhead crane comes standard with a pushbutton pendant. To achieve a safer lifting operation, wireless remote control can be a better choice. Load limiter – it is used to prevent the crane from overloading. Limit switches – there are multiple limit switches used to slow down and stop the motion of bridge, hoist or hook block. Warning horns and lights – these devices are used to provide warning to other personnel when the crane or loads are in motion. Looking for a trusted overhead crane manufacturer and supplier? go for Aimix Group. 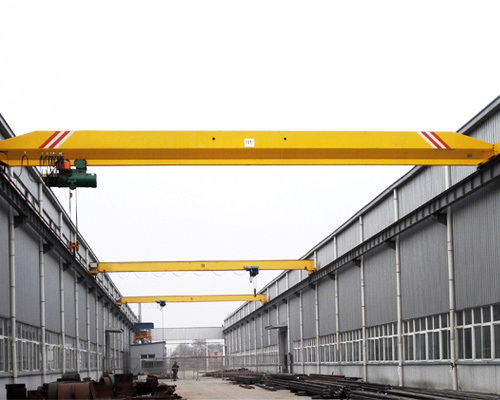 We can offer you high quality overhead crane equipment, at the same time, at a factory price. The durable and dependable cranes from our company provide the utmost efficiency, safety, suitability and reliability for the material handling work. To ensure a smooth progress of your project, we also provide a complete after-sales service that comprises the equipment installation, commissioning, maintenance, free technical advice and so on. Our professional after-sales service engineers are ready to solve your problem. 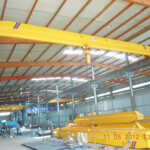 Interested in 1 ton overhead crane? contact us now for the latest price.